Can Sky's Now TV Find Its Niche? It was a long time coming, but BSkyB finally rolled out all six Sky Sports channels on its on-demand online TV service back in March. This meant that Now TV was now serving up much more than movies…users could buy day-passes to watch the English Premier League, F1, cricket, golf and everything in between. We knew for the best part of a year that it was coming, and we previously wrote that pay-per-view English football was a game-changer. However, that was without knowing the full financials involved. That situation was given some clarity when the pricing was announced back in January, and it’s fair to say that the overarching feeling was one of, well, disappointment. The damage? £9.99 per 24-hour period. You don’t have to be a maths whizz to figure out that if you watch even a handful of sporting events in a month, then you’d may as well just sign up to full Sky Sports subscription. The Sky Sports Pack is currently £22 ($33) per month on Sky, which is on top of one of the basic required packages which costs around £20 ($30). So if you’re consistently watching at least four days’ worth of sport, there’s no real question what the better deal is. But as we approach the start of a new season for the English Premier League – undoubtedly one of Sky’s flagship products – we thought we’d take a step back and see whether or not Now TV is worth the money, and whether it can really find its niche in livingrooms and bedrooms across the country. If you’re a serious sports fan with a lot of sofa time on your hands then – as we’ve established already – Now TV probably doesn’t represent a good deal. But if you work a lot, have kids or simply don’t have the time to watch a lot of sport, then £9.99 for 24 hours doesn’t seem that bad to me. There are plenty of part-time fans who only like watching their own team on the box, or only find a day a month out of their hectic schedule to sit down and watch a big sporting event. For them, Now TV will be a welcome addition to their livingroom – especially if they all club together to pay for a day. Or, friends can take turns to ‘host’ a day at their house – they pay for it all, but next time one of their buddies picks up the tab. This will work out far less expensive when you factor in what you end up spending in the pub. But that scenario is well understood. However, a massive facet of the set-up seems to have been overlooked by people. The £9.99 is for 24 hours – not just one game of football. If football’s your sport of choice, the English Premier League’s kick-off times are staggered across the weekend, so you can actually get access to almost three games of football for £9.99. On the opening weekend of the season, for example, if you were to start your day’s subscription in time for the Swansea vs. Manchester United match at 17.30 on the Saturday, you’d also get the Crystal Palace vs. Spurs game on the Sunday lunch time, plus most of the Chelsea vs. Hull City game that kicks off at 4pm that day. If you like La Liga, you’d also get Real Valladolid vs. Athletic Bilbao and Valencia vs. Malaga too. If you stagger timings a bit and aren’t bothered about the Manchester United match on the Saturday, then you can time things so you get the Barcelona and Real Madrid matches later on the Sunday evening. The detractors seem to be saying “£9.99 is a lot of money to watch a game of football,” but as we’ve seen you could potentially get 5 or 6 games of football for your money, which will work out well for football fanatics who only occasionally find themselves with a day free to commit to the sofa. It’s also worth adding here that Now TV’s sports offering isn’t just about football. All 10 Ashes (cricket) Test matches, three out of four major golf tournaments, Formula 1, and coverage of ATP Tennis tournaments are also part of the deal. So, one rainy Sunday when the kids are over at grandma’s, you could potentially find yourself with the final of an ATP tournament featuring Andy Murray and Novak Djokovic, some quality Grand Prix and a title-decider between the two Manchester sides. And this is the point – that’s who the target audience is. Sky already offers a subscription package for those who watch a lot of sport. So why would it cannibalize its main offering by offering 24-hours access for £5 or £6? Plus, even if you do watch a whole day of sport every weekend, it still works out about the same as if you had a full yearly subscription. Except you’re not committed and you’re not paying for anything when you’re away on holiday. Sky’s trump card is its sports rights. It’s why a large chunk of people sign up to its service in the first place. So by offering an avenue to those who either can’t, won’t or otherwise don’t want a monthly fee coming out of their account for something they may watch only occasionally, Sky will likely find a lot of people willing to pay the £9.99 for 24-hours access. Now TV launched first for PC, Mac and Android, which was followed by iOS, YouView, Xbox, Roku, and PS3. 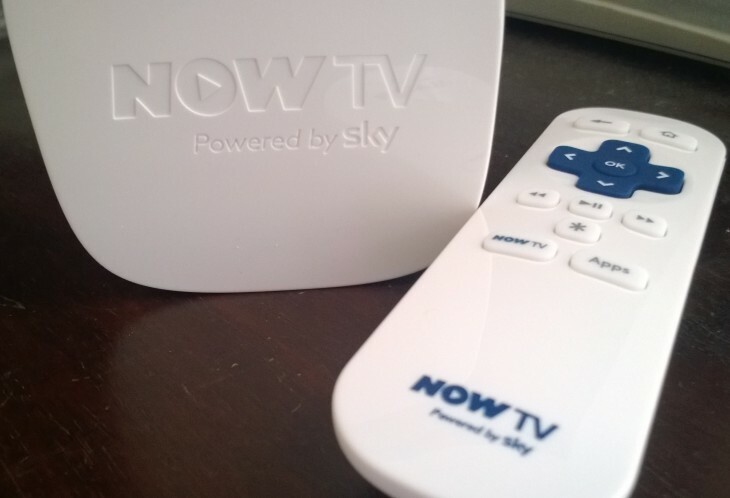 It also recently launched its own Sky Now TV box, costing £10 and also featuring BBC iPlayer. Yes, Sky’s pushing hard to infiltrate homes across the country, and it knows that the majority of the population won’t commit to a 12-month contract. Now TV will become a popular fixture in homes around the country because of this. That’s not to say there isn’t room for improvement though. I don’t see why they can’t rethink the pricing model and introduce tiers. There will be many people who literally only want to watch a single sporting event, whether it’s a game of football or the tennis final. So why not introduce a per-event rate, for example £6 to watch a Premier League game? That’s just one idea of course. It will be people like yourself who Sky’s looking to get on board with Now TV – so what would you change about it? Do you think that £9.99 is ridiculously expensive or a fair price for those who only want occasional access? Let us know in the comments. Read next: WhatsApp knows about stickers and Asian chat apps. It doesn't care about them, and it doesn't have to.